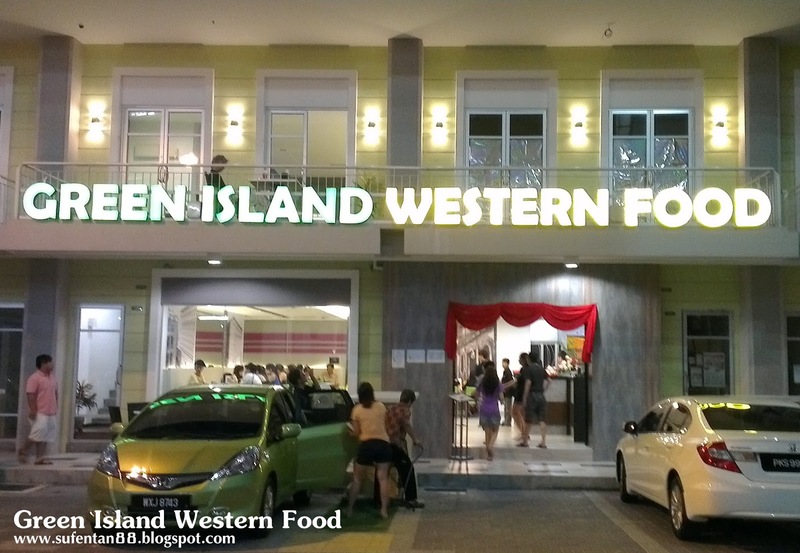 I am back to Penang Island again and found another new Western Food Restaurant just nearby my house. It is located at the new building just near Pisa or opposite D' Piazza building. They started their business on 5th Oct 2012 for dinner only for the moment and are opening for lunch starting November 2012. It is named Green Island Western Food with a big green and yellow signboard in front the shop. 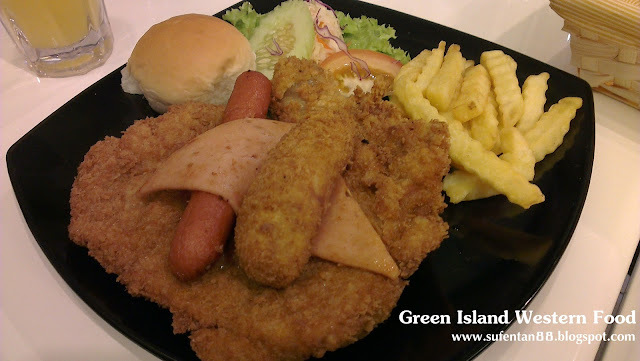 Their concept are very similar with James Foo & Family Western Food at Tanjung Bungah. 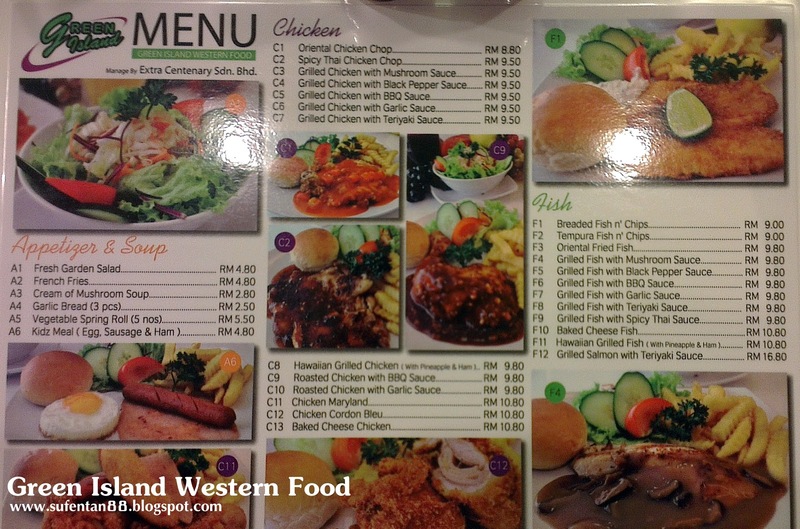 Here is the menu, very simple just 2 pages. 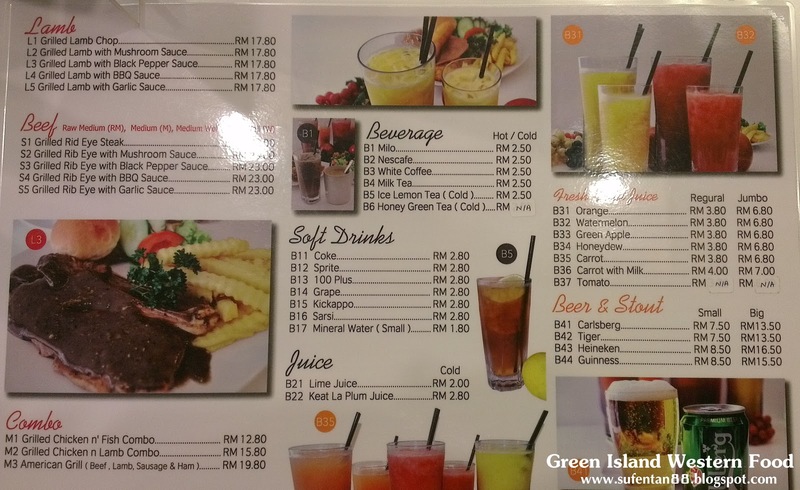 The price is reasonable, about the same as James Foo's price. But I didn't see any chef's recommendations or a thumb up icon in the menu for other to try on their speciality. At least should put a few so that new comer like me can make decision easily. All orders are taken by ticking on the items from the paper provided on the table. This potion is enough for two person. Quite big glass although the photo showed slightly smaller size. 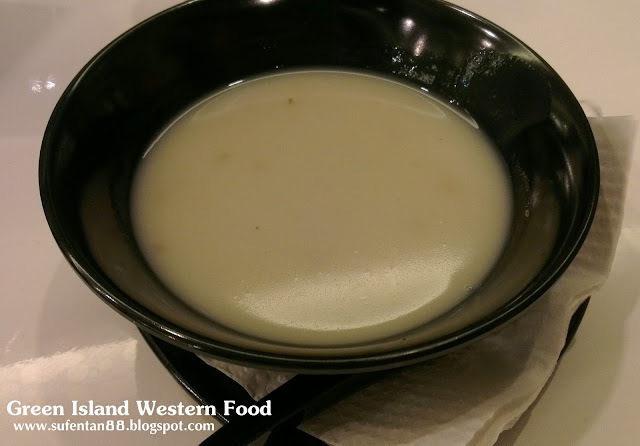 I was expecting a homemade mushroom soup but I was disappointed when the soup arrived. If I am not mistaken they are using the Knnor brand mushroom soup for their soup, doesn't taste nice at all. I would prefer if they can make their own soup and charge a little bit more. Look at the potion and I was thinking erm.. do I need to order another side order or what? The potion kind a small but with the price I pay, I guess I should be content with it. The chicken thigh meat taste great with the BBQ sauce. 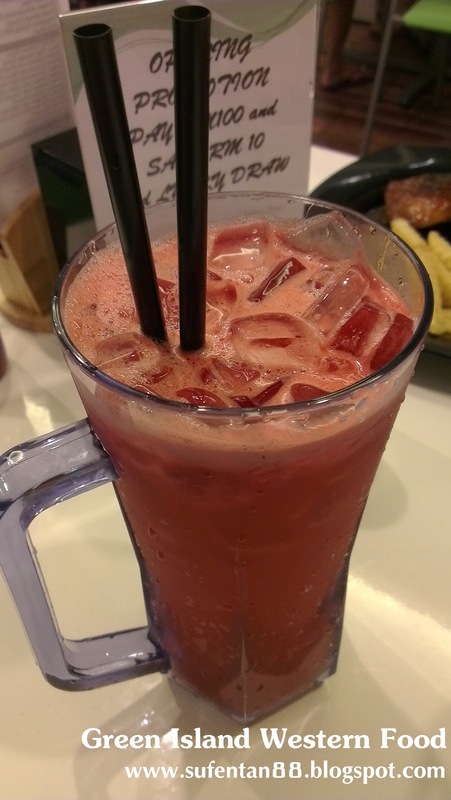 I could said about the same taste like Kenny Roger's. French fried a bit too little, same goes to the salad potion. My friend ordered this. Looking at it at first sign didn't give me any good impression but it do taste good. 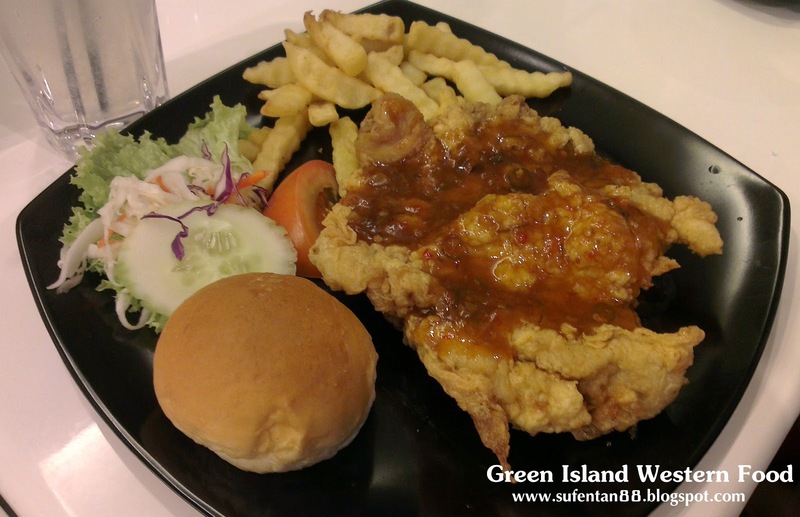 Crispy chicken with the sweet thai sauce. Can have a try on this! BF ordered this combo set but it doesn't impress him at all. The sauce wasn't match the grilled chicken and fish. 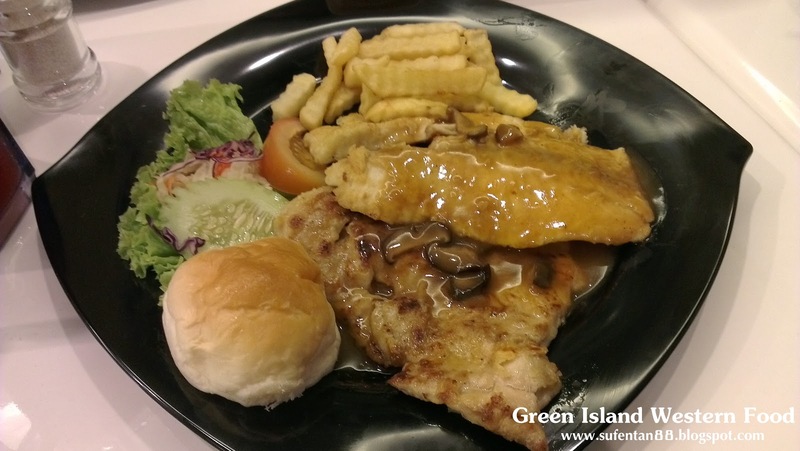 I still prefer James Foo's grilled chicken and fish combo, taste as well as the price are much more better. Need more improvement on the grilled part. If I were to compare it with James Foo, I would still think James Foo still on the top of my list in terms of taste and price. Here is the post on James Foo. Personally I would said that the location of Green Island is more convenient for me and parking lots are a lot compare to James Foo. I would proably come back again and hope for more improvement. You can find them at Facebook too! Hi Su Fen.. Nice post. 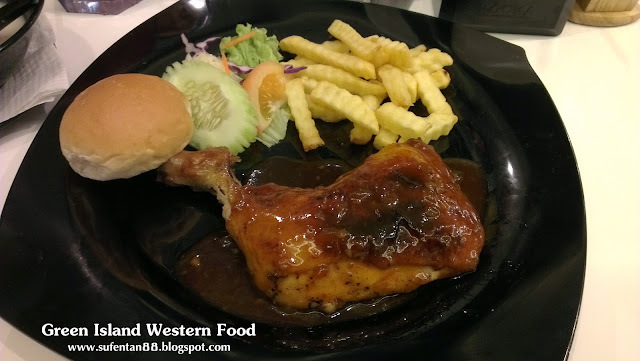 Recommend you another western food rrstaurant in the same area. It is at Tingkat Mahsuri 5, just the road next to Green Island. You can try the the home-made mushroom soup, aglio olio, mushroom cream chicken, lamb chop and lamb shank, honey fish.. Let me know what you think.. Price and taste wise will exceed your expectation ! 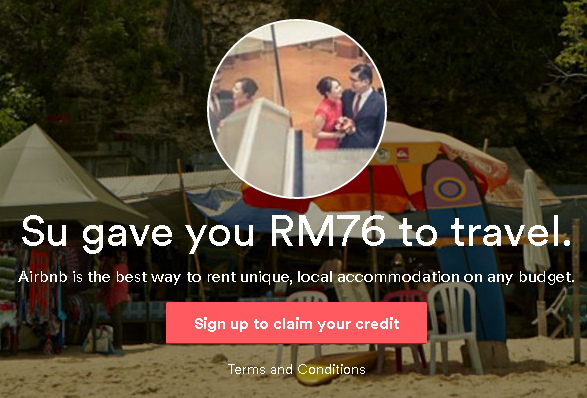 Sure Thuan, I will try it once I am in Penang again. What is the name of the shop?